Sharing ways to show volunteer recognition and appreciation. We all seem to be looking for inexpensive gifts to give all our volunteers, but it would be nice to be able to customize them for our own organization. 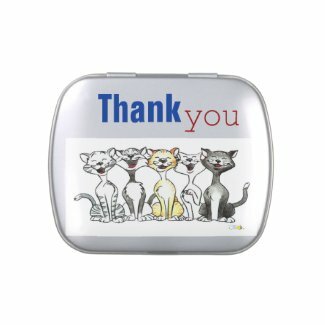 I’ve found a great choice for you – candy tins that you can customize or personalize for each volunteer. With our volunteers giving so much time and effort, and for many their own money as well, we always seem to be on the look out for ways to say thank you. But, we are all under budget constraints, so these thank you gifts need to be inexpensive. That’s what these delightful candy tins are. Ready for you to add your own organization logo and personalize for each volunteer. All with no extra costs involved. One of the things that I love best about these charming candy tins is that you can put each volunteer’s name on their own. I had several volunteers who had crossed their 5 year anniversary with us. Budget happened to be really tight at that point, but I still wanted to commemorate such a great milestone for each of them. 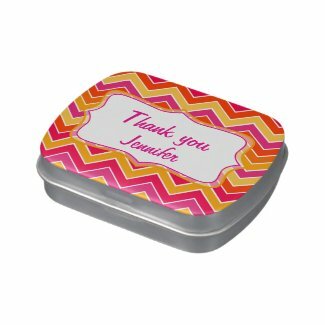 I chose a candy tin design, uploaded our logo, added “thanks for 5 great years” and their first name. Each person was thrilled. And I was very pleased with the price. I didn’t have to order any minimum quantity so I could order one for each person. It turned out to be a great idea. These candy tins all come with your choice of candy pre-loaded. You get your choice of basic mints or Jelly Bellies. With the Jelly Bellies, you can choose the variety pack or one of 20 different flavors. Because I knew these volunteers so well, I also knew what favorite flavors and colors they had. That meant I could customize the candy inside just for each one. 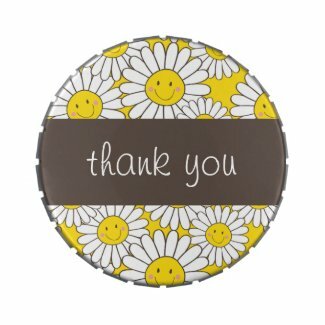 It’s a simple and inexpensive way to say thank you to each of your volunteers. Or celebrate milestones of their volunteer time. All easy and within your budget, yet custom for your own organization. These candy tins are really awesome! What a wonderful suggestion! © 2019 Appreciate Volunteers. All rights reserved.